June 30-July 2, 2011 – We were headed into the sweet spot of our Yellowstone vacation – a three-day weekend at the Old Faithful Inn. After four days in Yellowstone National Park, it was finally time to see the most famous geyser in the world: Old Faithful. 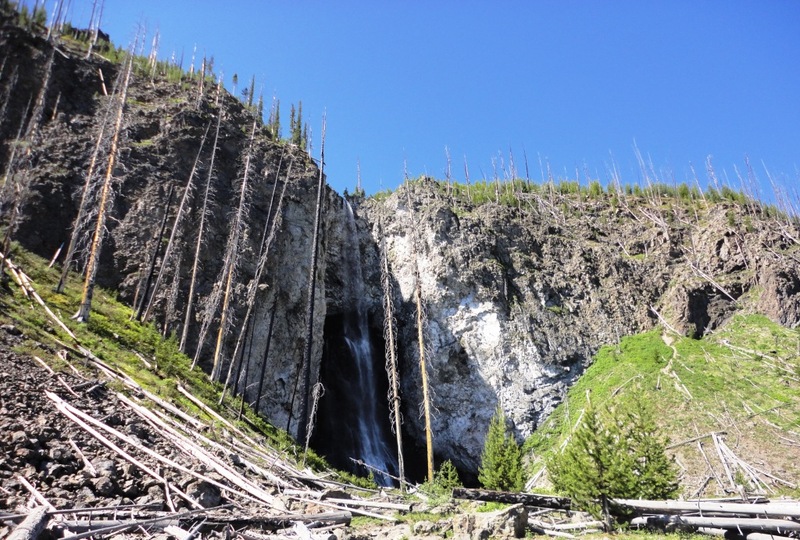 We left Gardiner, Montana on Thursday morning and drove back into Wyoming and the park, on a bearing south towards Old Faithful Village. 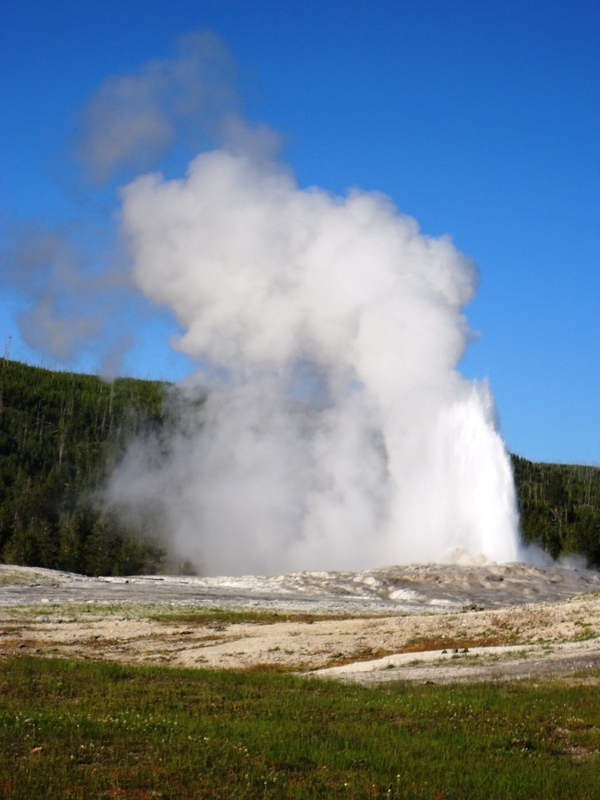 Along the way, we stopped to explore the Mammoth Hot Springs area and Norris Geyser Basin – two amazing places. But we didn’t linger because we were anxious to see Old Faithful and check into the Inn. 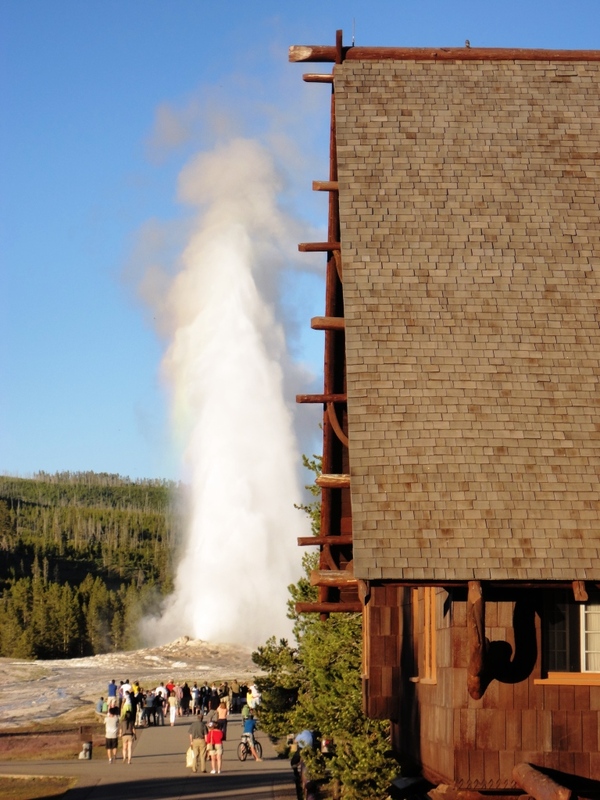 Like the geyser, Old Faithful Inn is an icon of Yellowstone. It’s a National Historic Landmark built in 1903-04 and is simply a classic. We really loved our time there. I had picked up more Montana beer while in Gardiner – a variety pack from Bayern Brewing. So upon checking into our room and dropping our gear, we grabbed a “traveler” and walked down to see Old Faitful erupt – a memorable experience. 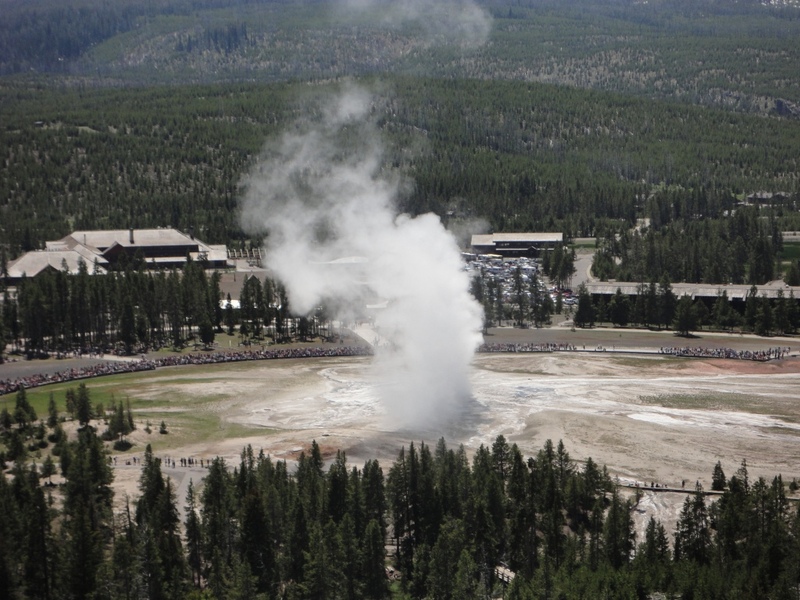 During our time at the Inn, it was so easy to tell when to expect an Old Faithful eruption – we just had to look for the big crowds on the benches that circle around the geyser. Old Faithful is a community event – every 60 to 90 minutes, activity seemed to slow as everyone paused to acknowledge the performance. Over our three days, we saw the geyser erupt from seven different vantage points. 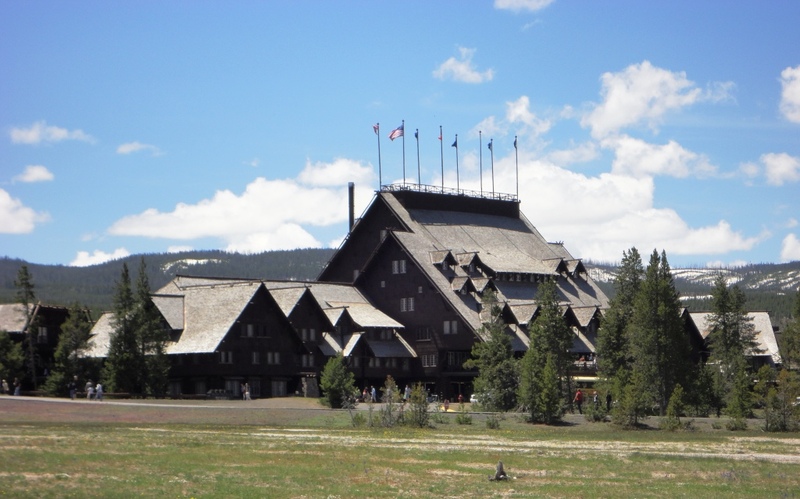 One of the best views was from the front porch roof of the Old Faithful Inn while drinking an an Old Faithful Ale. 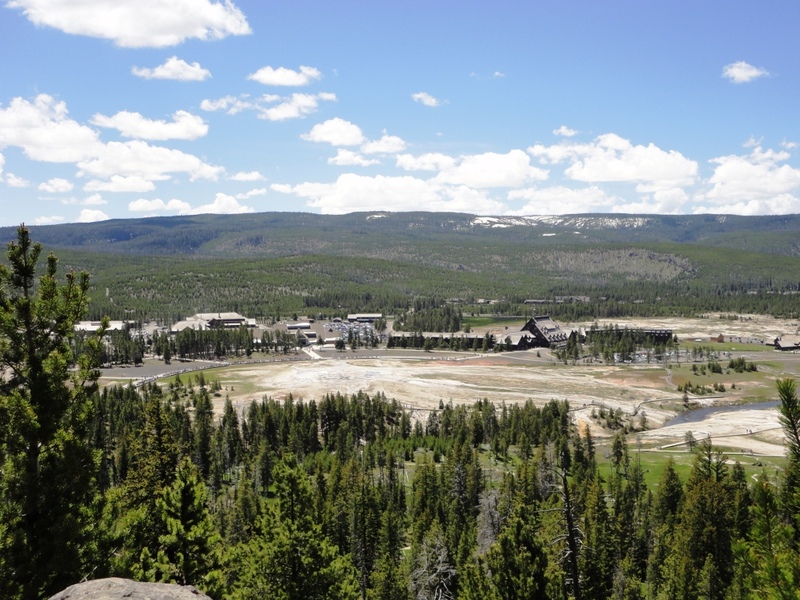 Observation Point, overlooking Old Faithful Village, was also a great view (see pics below). Dancing Trout Ale, a crisp and refreshing Kristall-Weizen, a filtered wheat beer (5.4%). 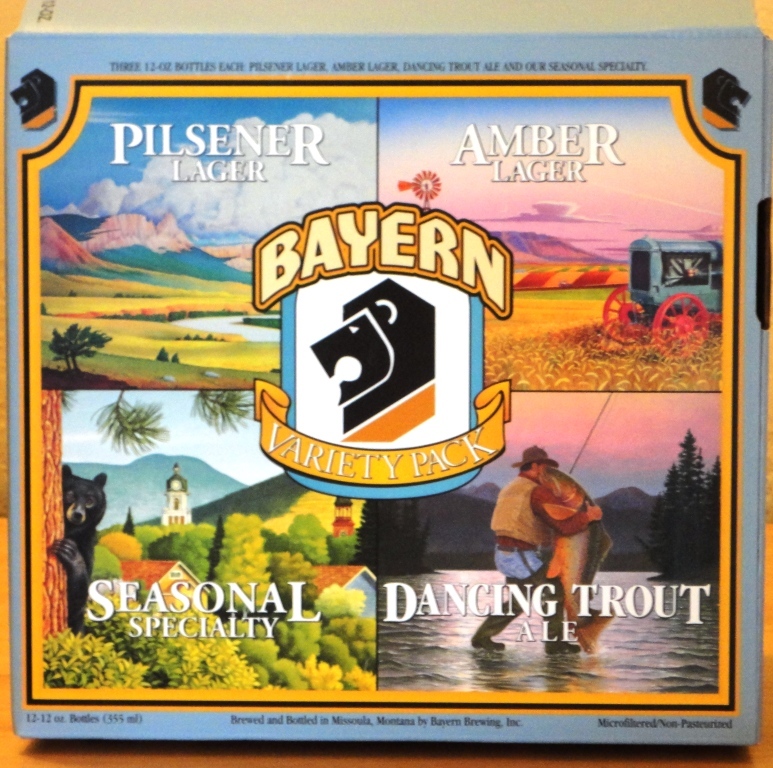 Formally known as Trout Slayer but renamed in 2007 “to best reflect Bayern Brewing’s environmental company philosophy.” Great label illustration (see above). St. Wilbur Weizen, a traditional Bavarian Hefeweizen (5.4%). A portion of sales of this beer and affiliated merchandise is donated to the Saint Bernard Rescue Foundation in honor of the brewer’s dog. One day while we were staying at the Old Faithful Inn we drove up to the town of West Yellowstone, at the west entrance of the park. There we found the Wolf Pack Alehouse, which had 16 local brews on tap, including another Bayern brew: Dragon’s Breath Dunkel, a delicious Dunkelweizen (6%). I was pleasantly surprised by the solid German line-up from Bayern. 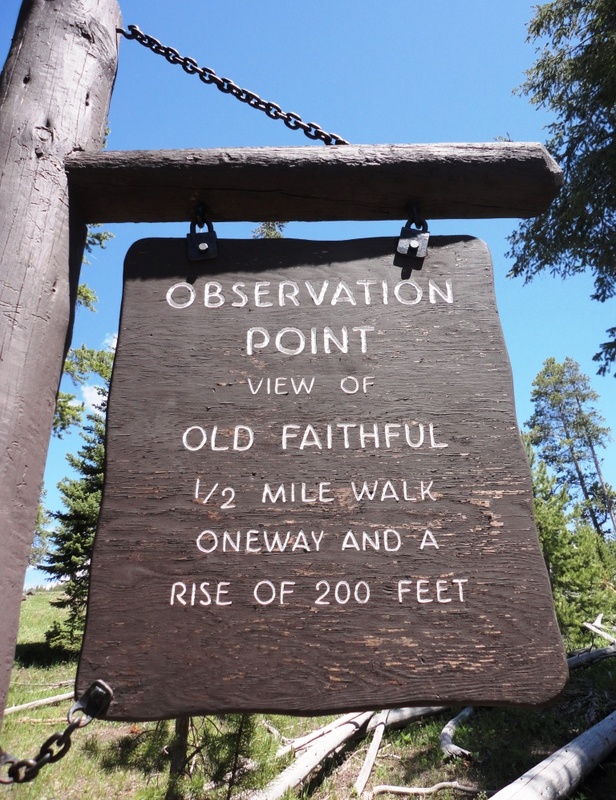 Our stay in the Old Faithful Inn brought with it a lot of memories, besides the beautiful views of Old Faithful: our hike to Fairy Falls, walks around Black Sand Basin, Biscuit Basin and Midway Geyser Basin, and drives around Firehole Lake and through Firehole Canyon. And memorable beers, too! Our vacation was winding down but the local beer quest was not. Next: Jackson, Wyoming and more craft beer.